So this Google Plus is the new black right? I may not be a devoted follower of fashion, but as a full on Neophile I cannae resist a new technology-ey thing! And seeing as all the cool kids are on Google Plus (all right none of the cool kids, but all the geeks, nerds and internet weirdos are!) I was desperate to give it a go. Thanks to an internet pal Mr603 of Unmemorable Title, an SEO guru (Yay!) and a big Leeds United fan (boo!) who is ahead of the curve on such things I was able to finagle an early invite. I really like the idea of Social Networking. I use Facebook a lot (despite the fact I despise it to the very photons it displays) and I really love Twitter. Both are massively successful and pervasive. So whilst I was massively keen to try Plus I had some healthy scepticism about whether or not there was some space for a brand new social network to thrive in. I have to say I was on sign up instantly impressed. Before I even got to know about how to use Plus I just liked the look and feel of the place. It was quick and clean. In fact it looked a lot like Facebook minus all the tons and tons of irritating rubbish that FB has been piling on over the years. As I started to use it, it became increasingly clear to me that Plus has some real advantages over both Twitter and Facebook and that whether or not there is space for it, this effort from Google has a real chance of muscling into the market. Google Plus has a feature called “circles” this is where you organise your contacts into various different groups. You can have circles for Friends, Family, Work, Hobbies etc. This becomes really useful in terms of sharing because it allows you to be much more selective about who you share stuff with compared to the all or nothing approach on Facebook/Twitter. There are lots of stories about people getting into trouble with work because of stuff posted on Facebook/Twitter etc, but because in the main everyone who are friends with/following you see’s everything you post it can be quite limiting. Most people’s have grandparents on Facebook now and let’s be honest most of us have stuff we wouldn’t want to share there. I know a lot of people who have two or more FB/Twitter accounts to separate work, pleasure and family. 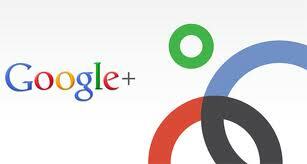 The Google Plus circles mean that actually you can do all of that within one social network and one account. This is a darned good thing if you ask me. Also the circles mean you are able to follow people who are not contacts of yours but from whom you want information. Twitter style following in a Facebook style social network is another nifty feature. Clearly the Plus engineers and writers spent a lot of time looking at what was good about FB and Twitter and tried to amalgamate the two. The “Sparks” feature is a way of finding content that might interest you. This is a pretty vanilla feature at the moment. It gives you a pretty anodyne, unisex, list of topics you might be interested in. You can customise this to your tastes (though annoyingly it thinks “Football” is called “Soccer”, and “American Football” is called “Football”. What sort of godless heathens programmed this thing? 😉 ). I suspect that as Plus grows, and Google get information about the things you “plus one” that the recommendations will become more forensic. If it turns out to be a Last.FM of internet content that this might one day end up being the killer app of Plus. Some pretty cool technology stuff. Had a quick go on the “hang out” facility for the group video chat and I have to say it is very, *very* impressive. I shall look forward to seeing if it becomes a useful tool. Also the Android phone app is very impressive. Given that this is still in beta testing and the app is in its first iteration I am blown away. It is already much better than the official apps of both Facebook and Twitter if you ask me. So then will Plus be a success. An interesting take on that here, obviously Facebook and Twitter are established in the sphere. I think Plus will be a success but I am not sure to what degree. I suspect that it will have really deep, really easy to use, integration into Chrome Browser, Android 4.0 (Ice cream sandwich) and all other Google products. If this is the case then I expect by a process of sort of internet use osmosis it will do pretty well because it will be easy to use in lots of different ways/places. We shall see. For me, right now, it is a network I like and I am enjoying using. Well I think it is Google looking at taking on Apple with the way Apple appear to have embedded Twitter into iOS5 . I am looking forward to the day they can all be grouped into a single feed! Apple, Schmapple. Twitter is so last year, c’mon John! (even though I still love twitter). I’d say though that IOS, and OSX are never likely to have the kind of world wide penetration that Android seems likely to get over the next couple of years just because of the price barrier. For Google they don’t need Plus to become the number one, just for it to be busy enough to unform their search algorithims. It will be a success then. I do however think that it being integrated with stuff people use on a daily basis will help it. Even members of the cult of Jobs…. sorry iPhone users go on YouTube/Blogger/Picassa. But I suspect that it will all be down to how much momentum Plus gets in the early stages. Whilst Wave and Buzz were drowinging in bad publicity now the “buzz” around Plus is still pretty good. We shall see huh? Considering Google’s previous social networking incarnation took off like a leaden fart (Google Buzz was it?) I suspect a similar fate may befall this. In my eyes, FaceBook’s success is that it’s a version of Friend’s Reunited that actually works and isn’t populated solely by people our mothers’ age trying to find long lost relatives who are willing to pay a monthly subscription. I’m still a vociferous user of FaceBook, but it was clearly best when I was getting friend requests from interesting/hot/long forgotten people from my past. These days, despite checking it multiple times a day, it works more as a universal email account where occasionally people post some photos which catch my interest. Now clearly Google are the people to talk to regarding a single multi-purpose email account, but whether they’ll manage to get the critical mass which makes the project lift off like FaceBook did is doubtful. I’ve already found near enough everyone I’ve ever encountered on FaceBook, and those that aren’t on it are hardly likely to now appear on +; so why the need to switch? The profile page, for all its uncluttered beauty, leaves me wanting a little more. When I received an invite to join FaceBook 4 years ago or so (was it that long ago?! ), despite being the first of our lot on it, there were already plenty of friend suggestions and the possibility of seeing what people from VIth form are up to now. With + I’ve got a couple of suggestions from you, and (since I primarily use my Gmail account for business/close family mail) friend suggestions that include the Tesco Customer Service Team. Maybe in the future it may become ones de facto contact point; maybe it will be seen as less pally than FaceBook and due to the Circles feature, a better way of managing business and busom buddy contacts. I’m certainly on it, but then I like this sort of thing, but I can’t see people flocking to it in the numbers required to make it a go-er. I think you make a lot of good points there TBH Alex. Facebook in the 900lb Gorilla and they are not oging to give up their crown lightly. But the very fact everyone is on FB and they are so successful is one of the reasons why others have a chance. Lots of people are fed up with FB and if another social networking site gets momentum it can get into a good position. As we have seen with Twitter over the last two year. The history of recent tech is the history of seemingly dominant giants falling by the wayside when a better product comes along. Lotus, netscape, AOL but most pertinently to this debate MySpace (funny to think only a couple of years ago yoofs were being referred to as the MySpace generation!!). Now whether or not Plus is the next thing is of course open to debate but history shows it can happen. On the uncluttered/its all fields emptiness to be fair to Google it is still in Beta and it is bound to be that way. But it is a huge barrier to a new SN coming along, why would people bother migrating over if they get what they want on FB. I’d say the best chance is if opinion formers start using Plus because it offers them something better than FB and they talk about it a lot then lots of others will follow (again as we have seen with twitter in the last two years). I think it is possible that Plus might offer that but we shall have to wait and see. The big obstacle will be in getting the critical mass of people to switch over from Facebook. Once potential way that happens is that it replaces Twitter – if the big names from Twitter move to G+ they would likely drag their stalkers (sorry, “followers”) along with them. With time the balance of power could shift to G+ as more people migrate until it becomes pointless to remain on Facebook. On the other hand, maybe Facebook is too entrenched now and there isn’t enough incentive for people to move for the sake of it. I certainly can’t see the need for multiple FB/G+ style networks, since the whole point is that you want to be able to contact everyone in one place. The advantage Google has is that this contact looks more streamlined. I think success for Google Plus would require killing Facebook and Twitter; it will be interesting to watch the fight, at least. A big difference I think though is that Google don’t require Plus to “win” the social wars just to be successful and have a lot of users. Both Twitter and Facebook are only in the business of Social so they have to monetise that. Google have fingers in a lot of different pies so for them being moderately successful would both add to their business model and cause problems for FB and Twitter. Still I don’t know it is a mountain to climb. At least unlike Wave and Buzz they have not fallen off the mountain already!